Our NJ children’s dentist office is happy to help infants, children, teens and young adults. 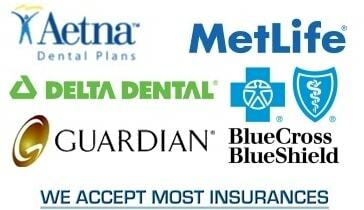 Our first priority is to provide quality preventative dental care to ensure your family keeps smiling. Our family friendly dental team can educate families about proper dental care so we can skip any unpleasant experiences at the dentist office. We serve children and teens in the Hudson County area, including Bayonne, Jersey City, and Hoboken. 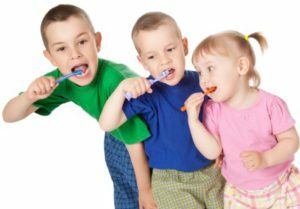 Cleaning & Fluoride: We gently clean the teeth. This cleaning removes all of the plaque. We want to remove the plaque from your children’s teeth because it is basically the poop of bacteria and it is causes tooth decay and sensitive bleeding gums. After the teeth are cleaned we then apply topical fluoride to make them stronger and more resistant to future tooth decay. Regularly visiting a pediatric dentist at least every 6 months is a great way to avoid painful cavities and other dental issues. Oral Care Instructions: Our trained dental team knows that prevention is the most important step in protecting your child’s smile. We are happy to help teach and show your child how to maintain good oral health at home with proper flossing and brushing so they have happy results when for childrens dentist appointment. Dental Film: We use state of the art equipment to determine the health of your children’s teeth and bone. Looking at the dental film we can easily discover any cavities. It also helps us to make sure the permanent teeth are properly progressing in your child’s mouth. Some children have extra teeth, abnormal growths, and other dental problems that are best found sooner than later. Sealants: Our child friendly team wants to proactively protect your child’s teeth. This is why we offer a dental sealant for kids and adults. The sealant is a plastic coating that the child’s dentist applies to the top of the teeth and it provides an extra safety barrier to prevent cavities. It is like a safety helmet to help the fight against cavities. Laughing Gas: We understand that kids enjoy candy and sweets so sometimes cavities still happen. If we need to take care of a dental issue we can use the funny laughing gas to help calm the child during the procedure. Breathing in this safe and mild gas helps anxious kids relax and reduces discomfort from gag reflexes. Tooth Colored Fillings: If we need to patch a cavity we can use a tooth colored fillings so no know will know your child needed dental work. The tooth colored filling will match the other teeth to blend in and protect the cosmetic appearance.